Total area of this house is 2830 square feet (263 square meter) (314 square yards). 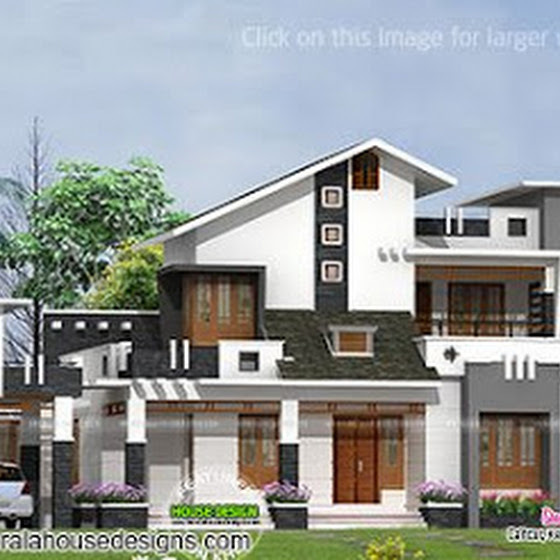 Designed by Greenline Architects & Builders, Calicut, Kerala. Ground floor : 1556 sq. ft.
First floor : 1274 sq. ft.
Total area : 2830 sq. ft.